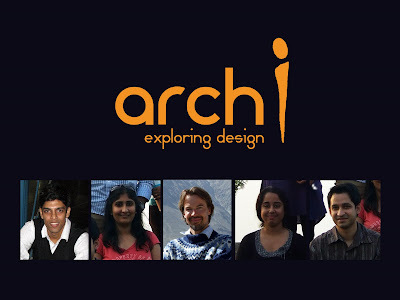 Anne Feenstra, a Master in Architecture from Delft University, The Netherlands has established a collective platform for architecture along with four young and ambitious architects, Apoorv Goyal, Himanshu Lal, Sneha Khullar, Tanvi Maheswari. Anne has been practicing architecture in the European continent and in London (William Alsop architects). In 2003 he established his own design group-AFIR. He has been lecturing/teaching in India, United Kingdom, Afghanistan, and Germany and –of course- The Netherlands. Architecture and urban design are a reflection of our contemporary cultural identity. In the search for the definition of this identity, eco-friendly architecture and sustainable design should play a more important role than it does in the present situation. We think it is important to put the ever growing commercial pressure aside for a more tangible, humane, perceptible and sustainable architecture. More space for reflection, thinking and dreaming. This design approach requires extensive research into the complex layers of history and culture, into the specifics of the environment, biodiversity, building materials and craftsmanship. Research will be an inclusive part of our working method; it will play a pivotal role in our search for a better architecture and urban design. The people, the children, the different communities are the most important and valuable stakeholders in this search. We believe that architects, planners and designers should follow a more ‘open design process’ in which listening and sharing of ideas/concepts becomes the starting point. Through social, cultural and economical engagement, we believe a higher level of ownership can be achieved. On a regular basis, we will be hosting vocal platforms in New Delhi, every second Saturday of the month, where all stakeholders will be invited. Professional SEO company in Faridabad! We offer free consultation for all businesses. Give us a call today to learn more about our SEO Faridabad and how we will rank you on the 1st page of Google! There are several reasons why you should hire interior designers in Mumbai to work on the home's aesthetic appeal for you.